Selling my '72 tii, 2761023. 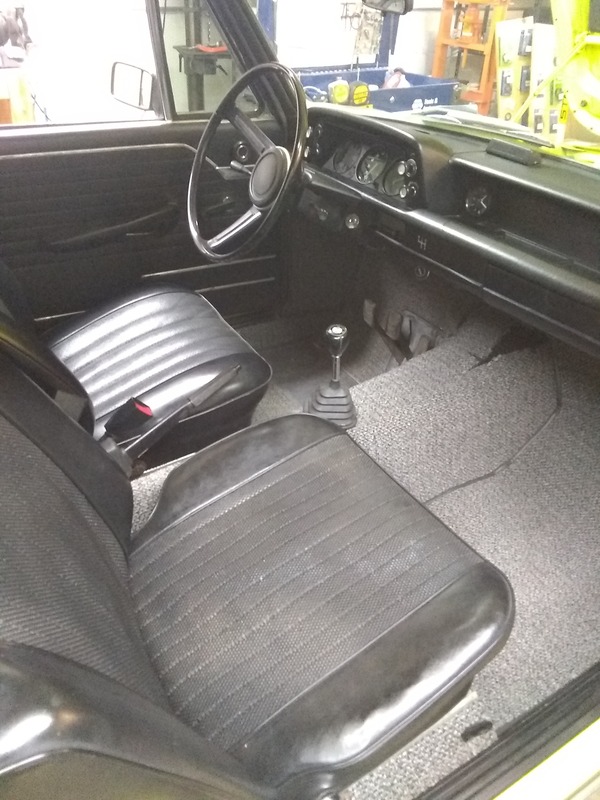 The BMW 2002 tii US VIN 2761023 was manufactured on February 04th, 1972 and delivered on February 09th, 1972 to the BMW importer Hoffman Motors Corp. in New York City. The original colour was Golf, paint code 070, per the archive. I'm the 4th owner. Original owner was in the Bay Area (California). He had it for a while and started dating a woman (rumor has it she was into him for the car...) She ended up being the second owner. A friend of a friend bought the car in CA and moved to New Mexico. Life then caught up with him and the car sat for an extended period. I bought the car from him a little over a year ago and have been enjoying it since. I had every intention of keeping the car because it's wonderful and has very little rust (so little that I haven't even addressed any of it) but have come to accept that I cannot leave well enough alone and bought another car that I can modify without regret- so I'm selling the '72 tii. I went through the brake system, rebuilding the front calipers, new rotors, pads, lines, new rear wheel cylinders, drums, shoes, lines, reservoir rebuild kit; all parts new from Ireland Engineering. I went through the cooling system- new IE silicone hose kit (the big one) with the fancy hose clamps, new thermostat, new tii water pump. Rebuilt the heater box with new foam kit, blower motor and blade from Blunt. Eibach Pro-Kit lowering springs (originals included) and ST sway bars (originals also included) riding on older Bilstein HDs. (The car rides really nice.) The interior has 3m commercial sound damping installed along with an Esty carpet kit. 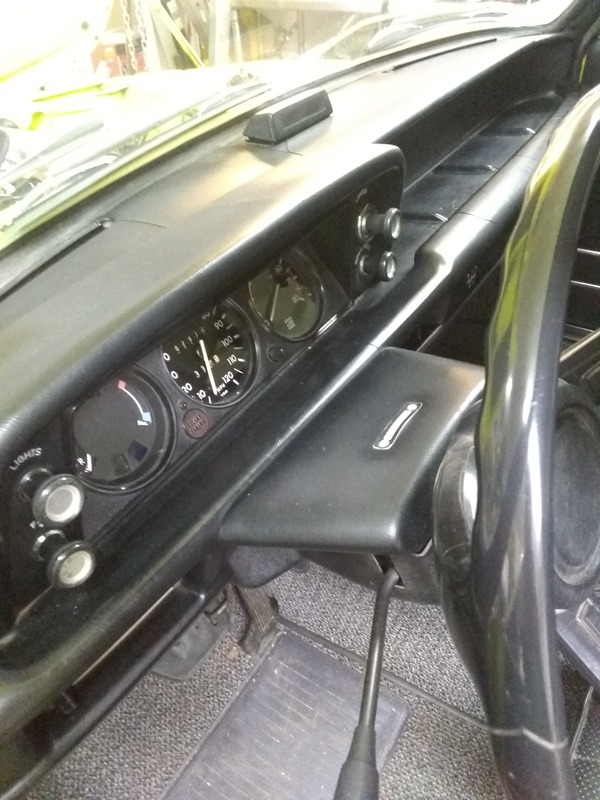 The dash has a few cracks, the tii clock works and runs fine, albeit a little fast- but it's adjustable, just need to pull it out and adjust it. The front subframe had the crack on the motor mount, so I pulled the subframe and fixed the crack- drilled and welded and then I boxed the motor mount to make it stiffer. While the engine was out I installed a new oil pan gasket, valve cover gasket and rear main seal. I changed the seals in the back of the transmission while it was out and installed new bushings and bits. The steering box does not leak, but I bought a rebuild kit for it from Blunt. I have 3 sets of wheels with 2 new sets of tires; steel wheels (no tires), 320 turbines with new Kumho 185/70-13s, new Rota R-20s with Yoko S-Drive 195/50-15s. New upper strut mounts and rear shock mounts. I installed a new 123 Distributor, cap, rotor, coil, IE plug wires. New rubber intake boot and new air filters. I cleaned the gas tank and installed a new fuel pump and all new fuel lines. I've changed the engine oil several times to rinse everything out (now running Valvoline VR1) and have changed the trans and diff fluid twice, first with Napa oils and then Redline. Drive shaft has been rebuilt with new bearing and center support and a new giubo. I installed LED bulbs all the way around and forward lighting is now genuinely impressive (LED bulbs in Osram Cateye H4 housings.) New tail light lenses from Uro via Blunt. Dome light works like it should with new contacts. I installed a new driver's side OE BMW door gasket and trunk gasket, along with new engine / airbox gaskets from Vintage Autobahn. All hinges, door latch / locking mechanisms have been cleaned and greased. I spent a lot of time getting the tii mechanical fuel injection working well- it starts and runs just fine with no hickups. New IE alternator bushings. New IE HD motor mounts and trans mount. That's most of what I have receipts for (I'm bad at keeping records.) I'm sure there's more, it would just take walking around the car. I've got about 350 hours into working on the car over the last year- you can ask my wife. Oh, I tinted the windows. Other stuff; it's got a snorkel nose. At one point it was known as the deer slayer. So snorkel nose and it had new front fenders along with a reasonable respray. The paint looks good, but there is a little over spray. While the engine runs well, it could use a refresh. 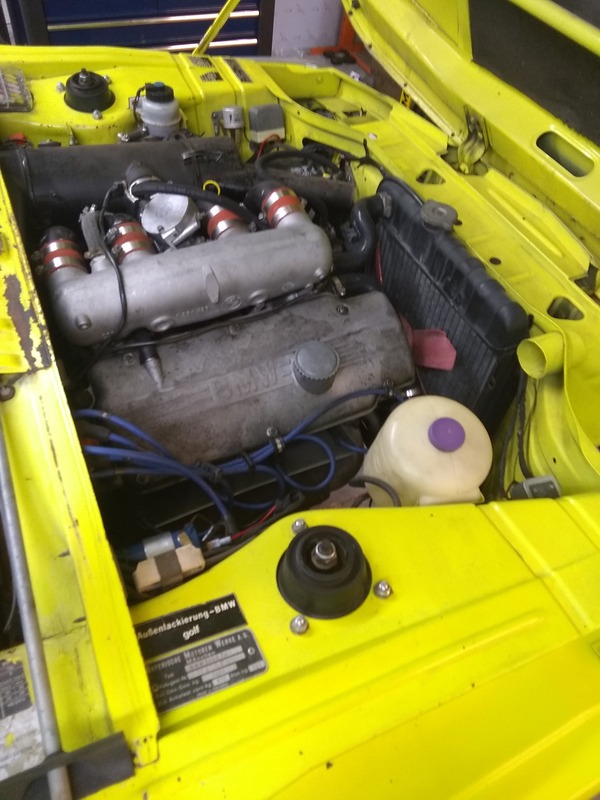 I bought another engine and built the crap out of that, seriously, and had been using that for the last couple of months before I got the m2. I pulled that out last month and installed the original, numbers matching engine. When I did that, I got a little mis-alignment in the drive shaft that I can't sort- and looking into that, it needs suspension bushings throughout (I think that'll solve the misalignment.) I'd send the pump and injectors to Fairchild and have them gone through. 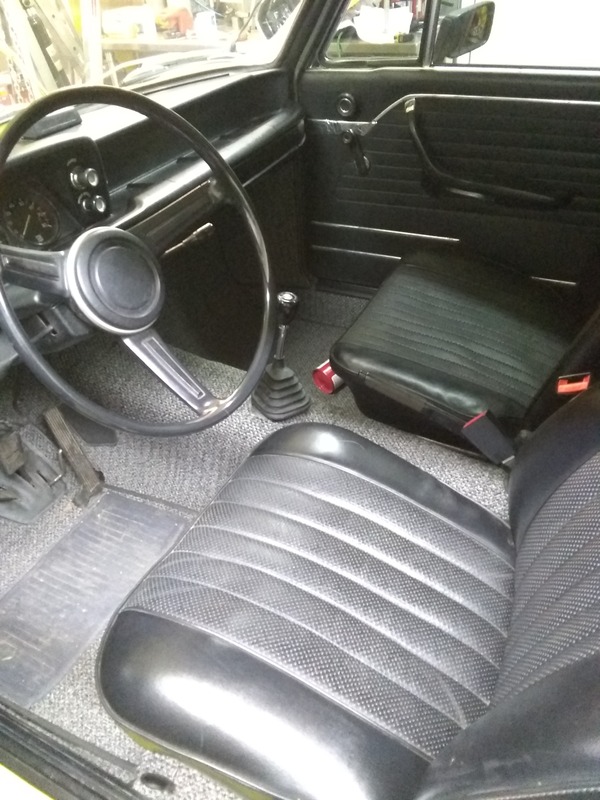 The front and rear seats are from a '74. It has a rear defrost window installed (originally did not have one); I haven't messed with it. No sunroof and the headliner is in good shape. Trunk has all 4 pieces of trim. The speedo is a little bouncy, I believe it to be the odometer / speedo cable. 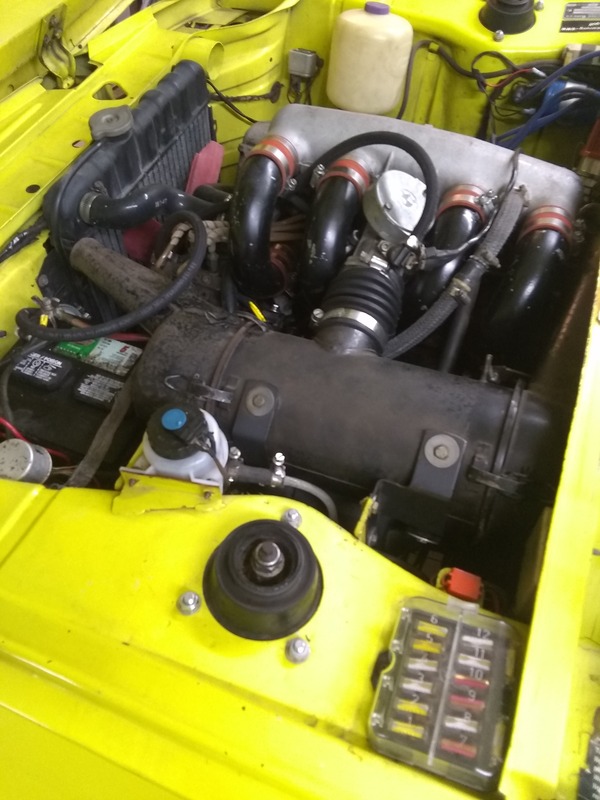 Also, I have a rebuilt, zero mile 245 5 speed and 3.91 LSD, with driveshaft, new master and slave cylinders, new clutch line, new speedo / odometer cable, new mounting bracket for the trans- these will be offered to the buyer first. 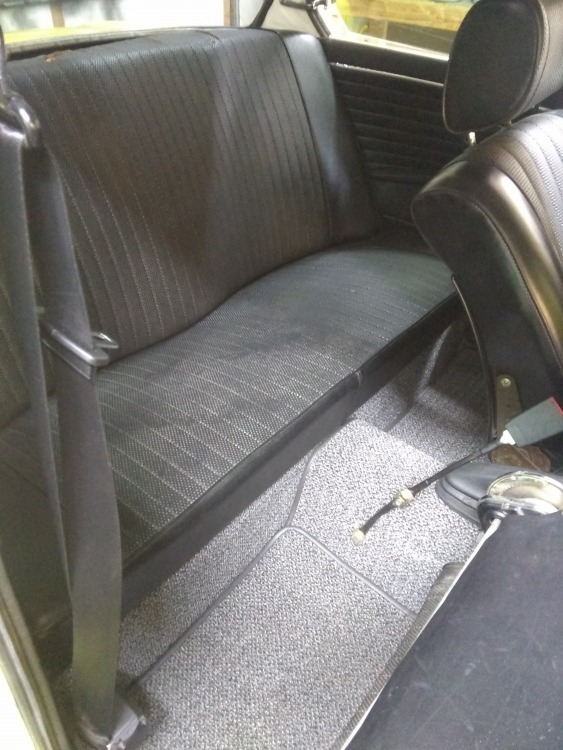 I also have a set of Recaro LSD seats that go very well with the carpet from Esty that would also be available to the buyer first. Wow, wall of text. I'll get some pictures uploaded from the phone. I lost a lot of the early pictures when I switched phones and when syncing with google, it updated my old phone to the new empty phone, so i don't have any of the early pictures. As with things like this, I'm sure there's a lot more. The car is really solid. It's a good little car. If you can come by I can arrange to get the car on a lift so you don't have to lay on the concrete to look under. You make a compelling case and clearly have done tremendous work sorting the car. I passed once before and probably will again but this is going to make someone very happy! I'll try to get some more pictures up later today. Is your car still available? Were you able to get any more pictures? Hi Mike. It is. I grabbed a couple, which I'll put up directly from the phone in just a minute. I'll get some more tomorrow. And I have the center console for it as well- just haven't gotten around to recovering it yet, so it's not installed. thanks for the pictures Dave. Thanks for the note about the console. I'm going to be in Loveland on May 14th. If it's still available I'll come by and take a look at it. I'll keep an eye out for more pictures. 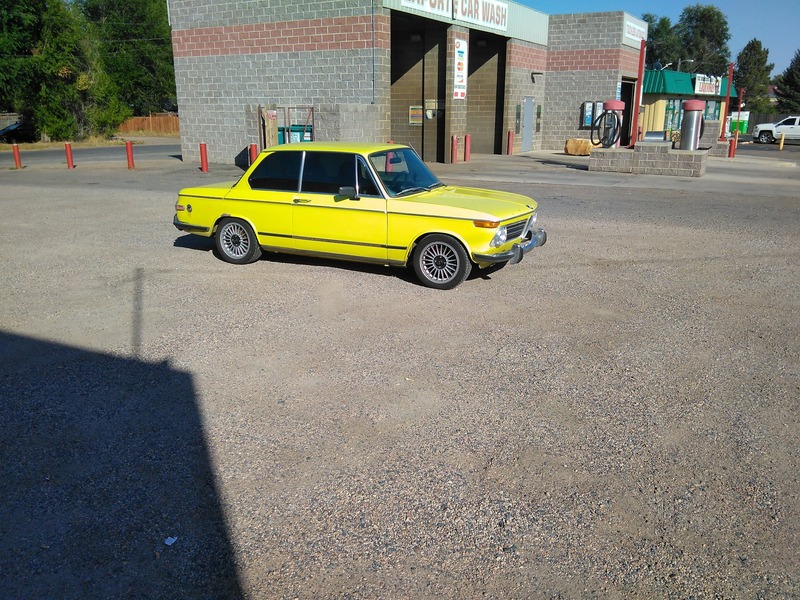 I used to have a 1978 320 IS in Golf. Love the color! I'll keep an eye out for it on BAT. Would love to see a few more pictures when you get them up.